Bottom Line: Double Helix is a solid title from start to finish. A solid single-player experience, robust multiplayer, and stunning visuals and audio make this the most solid all-around title since Half-Life. In March of 2000, Activision and Raven released upon the unsuspecting gaming world a tour de force of gaming goodness. Based upon a heavily-modified Quake2 engine and Raven's custom GHOUL engine, the original Soldier of Fortune took the consumer market by storm. Receiving both accolades and condemnations from the press, it was sure to secure a place in gaming history, regardless of its commercial success. A little over two years later, Activision and Raven are back with the second installment of this now sacred franchise. Stepping up to the Quake 3 Arena engine and Raven's newer GHOUL2 engine, Soldier of Fortune 2: Double Helix is sure to be a bloodier and rougher ride by any definition. Double Helix picks up where the first game left off, with you taking on the role of the "consultant" John Mullins, an operative for a covert counter-terrorism operation known only as "The Shop." In this episode, terrorists worldwide are developing biological weapons of mass destruction. Too abstract of a battle for the western world to legitimize becoming officially involved in, they outsource their counter-terror needs to this "shop." As it is based on the Quake 3 Engine, Double Helix is relatively easy to configure and get underway with. However, keep in mind that this is a heavily modified Quake 3 engine. The settings you are used to in Q3A simply are not going to cut it here because of the enhancements Raven has made to the engine. This is a trend I have noticed across the board with games licensing the Q3A engine. We at SLCentral recently reviewed Dark Forces 3: Jedi Knight 2 and noticed a similar coincidence with its usage of the Q3A engine. In game, Double Helix behaves like just about every other FPS you have come to reckon with. It is very easy to become familiar with how to navigate the world and, depending on your key configuration, interact with it as well. One of the first things I noticed about Double Helix was its focus on creating a genuinely believable story and putting the player into a scenario that could actually exist. Story is everywhere in this game. You, as John Mullins, must complete the missions for reasons far and above simply "eradicating the bad guys." There are consequences to what you and do and a reason for your existence in the world. Graphically, Double Helix is stellar. 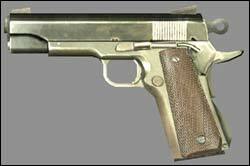 The weapons are modeled well and behave as one would expect their real-life counterparts to behave. The only objection I have to the game items is the night vision goggles. When in NV mode, the green and yellow image is not as true to real NV goggles as I have become accustomed to with Tom Clancy's Rainbow Six and Ghost Recon games. A minor issue, for sure, but a notable one for those people accustomed to more accurately modeled goggles. The environs that you explore in your adventures are all well thought out and rarely completely linear in nature. One issue I noted, however, was how the interior environments rarely seemed to be as "small" as their exterior representations portray them to be. For example, on the first mission you are to infiltrate a hotel discreetly. As you approach the hotel you get a general idea of its size. However, once you actually infiltrate said hotel, you discover that its interior is simply massive. Much, much more so than its exterior had lead you to believe. While this could theoretically lead to breaking your feeling of suspended disbelief, the pacing of the game leaves little time for that. The AI engine is another component worthy of mention. These enemies are good: real good. 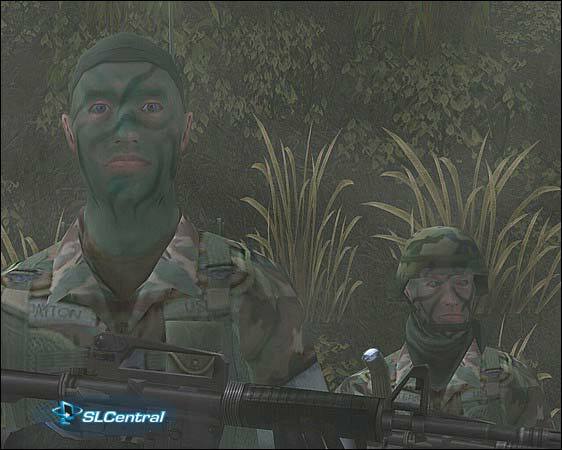 They dodge rounds and shrapnel, use buddy teams to track you down, and are generally just really good soldiers. Lower order enemies make more mistakes and are more brazen than their season higher-order counterparts. 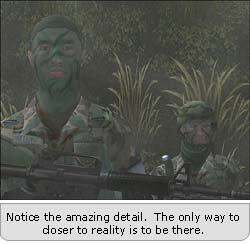 In text it seems like something very minute, but in-game it is the difference between knowing you are playing a game and believing you're really there.